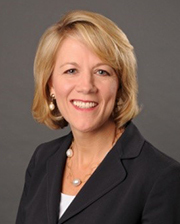 Gretchen W. McClain is an independent director of Hennessy Capital Acquisition Corp. IV. Since June 2014, Ms. McClain has served as principal of G. W. Advisory Services, a consulting business providing leadership coaching and business advisory services to executives to help them grow their businesses and expand their leadership capabilities. Ms. McClain was the founding President and Chief Executive Officer of Xylem, Inc. (NYSE: XYL) from October 2011 to September 2013. She joined Xylem as the founding CEO in 2011 when it was formed and taken public from a spinoff of the water business of ITT Corporation. She joined ITT Corporation in 2005 as the president of its residential and commercial water business and served as the senior vice president and president of its commercial businesses from 2008 to 2011. Ms. McClain has served in a number of senior executive positions at Honeywell Aerospace (formerly AlliedSignal), including vice president and general manager of the business, general aviation and helicopters electronics division, and vice president for engineering and technology, as well as for program management in Honeywell Aerospace’s engines, systems and services division. She also spent nine years with NASA and served as Deputy Associate Administrator for Space Development, where she played a pivotal role in the successful development and launch of the International Space Station Program as Chief Director of the Space Station and Deputy Director for Space Flight. She currently serves as a director of Ametek, Inc. (NYSE: AME), Booz Allen Hamilton Holding Corporation (NYSE: BAH), Boart Longyear Limited (ASX: BLY), and J.M. Huber Corporation (a family-owned business), and previously served as a director of Xylem from 2011 to 2013 and Con-Way Inc. from June 2015 to October 2015. Ms. McClain holds a B.S. in Mechanical Engineering from the University of Utah. Ms. McClain is well qualified to serve as a director due to her extensive business, developmental, strategic and technical background from more than 25 years of global experience across multiple industries, including as CEO of a publicly traded industrial company and government agency leadership. 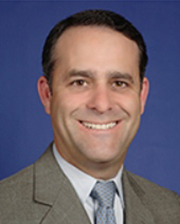 Juan Carlos Mas is an independent director of Hennessy Capital Acquisition Corp. IV. Since April 2011, Mr. Mas serves as the chairman of The Mas Group, a company that invests in various industries including infrastructure development, real estate, construction equipment and healthcare. He has also served as chairman and founder of Synergy Rents, a construction equipment rental company, since April 2013. Mr. Mas is a member of the board of directors of CareCloud, a software and services company for the healthcare industry, and chairman of Cross Country Infrastructure Services, a supplier of materials, tools, parts and equipment for the oil and gas pipeline construction industry. From January 2002 to June 2007, Mr. Mas served as chairman and chief executive officer of Neff Corporation, a construction equipment rental company. From July 1990 to January 2002, Mr. Mas served in a variety of executive positions at MasTec, Inc. (NYSE: MTZ), including as President of MasTec International. Mr. Mas holds BBA and JD degrees from the University of Miami. Mr. Mas is well qualified to serve as a director due to his extensive experience as a founder, executive officer and director of numerous industrial companies as well as his significant experience investing in industrial companies. James F. O’Neil III is an independent director of Hennessy Capital Acquisition Corp. IV. Since June 2017, Mr. O’Neil has served as a director of Hennessy III, which merged with NRC Group Holdings, LLC, a global provider of comprehensive environmental, compliance and waste management services, in October 2018 and is now known as NRC Group Holdings Corp. (NYSE American: NRCG). He was a Partner of Western Commerce Group from April 2016 to March 2018. In October 2017, Mr. O’Neil formed Forefront Solutions, LLC, a consulting company to the energy infrastructure industry. 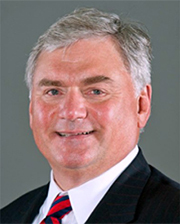 Mr. O’Neil served as the Chief Executive Officer and President of Quanta Services, Inc. from May 2011 to March 2016 and from October 2008 to March 2016, respectively. He previously served as Chief Operating Officer of Quanta Services from October 2008 to 2011. Earlier, Mr. O’Neil served as a Senior Vice President of Quanta Services with responsibility for Operations Integration & Audit from December 2002 to October 2008. He served as a Vice President of Operations Integration at Quanta Services from August 1999 to December 2002. Mr. O’Neil joined Quanta in 1999 and, throughout his tenure at Quanta, was responsible for various initiatives, including: renewable energy strategy; commercial and industrial operations; internal audit; and merger and acquisition initiatives, including oversight of the acquisition and integration of InfraSource, its largest acquisition. 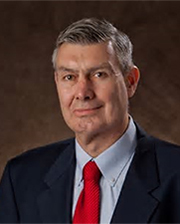 From 1980 to 1999, Mr. O’Neil held various positions with Halliburton Company, a provider of products and services to the petroleum and energy industries, lastly as Director, Global Deepwater Development. Mr. O’Neil has been a Director of FirstEnergy Corp. since January 2017. He also served as a Director of Quanta Services, Inc. from May 2011 to March 2016. Mr. O’Neil holds a B.S. in Civil Engineering from Tulane University, New Orleans in 1980. Mr. O’Neil is well qualified to serve as a director due to his extensive experience in commercial and industrial operations and with mergers and acquisitions execution and integration and his experience with Hennessy III. Peter Shea is an independent director of Hennessy Capital Acquisition Corp. IV, and serves as the chairman of our compensation committee. From January 2014 to February 2015, Mr. Shea served as a director and chairman of the Compensation Committee of Hennessy I, which merged with School Bus Holdings Inc. in February 2015 and is now known as Blue Bird Corporation (NASDAQ: BLBD). From July 2015 to February 2017, Mr. Shea served as a director and chairman of the Compensation Committee of Hennessy II, which merged with Daseke in February 2017 and is now known as Daseke, Inc. (NASDAQ: DSKE). From June 2017 to October 2018, Mr. Shea has served as a director and chairman of the compensation committee of Hennessy III which merged with NRC Group Holdings Inc. (NYSE: NRCG). Since January 2010, Mr. Shea has been a private equity advisor and an independent director for various companies. He has served as an operating partner of Snow Phipps Group, a private equity firm, since April 2013. He has been a director of Viskase Companies (OTCMKTS: VKSC), a supplier of cellulose and fibrous casings since October 2006, where he is currently chairman of the Audit Committee and previously served as chairman of the Compensation Committee. He has been a director of CVR Partners LP (NYSE: UAN), a nitrogen fertilizer producer, since May 2014 where he is currently Chairman of the Environmental, Health and Safety Committee and a member of the Audit Committee. 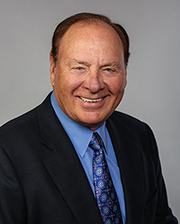 Since September 2015, Mr. Shea has served as chairman of the board of directors of Voltari Corporation (NASDAQ: VLTC), a commercial real estate company. Since May 2014, Mr. Shea has served as Chairman of the Board of Directors of FeraDyne Outdoors LLC, a private company which manufactures hunting and fishing accessories. Since November 2014, he has served as Chairman of Teasedale Foods, a private company and a processor of Hispanic food products. Since September 2017, Mr. Shea has served as Chairman of Decopac Inc., a private company, which is a B2B food processing supplier. Mr. Shea served as a Director of Trump Entertainment Resorts LLP from January 2016 to June 2017, where he was a member of the Audit Committee. From November 2011 to December 2016, Mr. Shea was an operating advisor for OMERS Private Equity. He served as a Director of Give and Go Prepared Foods, a food processor, from January 2012 until July 2016. He was a Director of CTI Foods, a processor of protein and soup products from May 2010 to July 2013. He previously served as a director of, Sitel Worldwide Corporation, a customer relationship marketing business, from October 2011 until September 2015. Mr. Shea has also served as a Director, Chairman, Executive Chairman, Chief Executive Officer, President or Managing Director of a variety of companies including Icahn Enterprises, H.J. Heinz Company Europe, John Morrell & Company, Specialty Meats Company, Grupo Polymer United Latin America, Roncadin GmbH, Premium Standard Farms, New Energy Company of Indiana and United Brands Company where he was Head of Global Corporate Development. He has an MBA from the University of Southern California and a BBA from Iona College. Mr. Shea is well qualified to serve as a director due to his experience in public and private company governance and private equity, including his service on numerous corporate boards and on audit and compensation committees, including his experience with Hennessy I, Hennessy II and Hennessy III. Richard Burns is an independent director of Hennessy Capital Acquisition Corp. IV. From January 2014 to February 2015, Mr. Burns served as a director of Hennessy I, which merged with School Bus Holdings Inc. in February 2015 and is now known as Blue Bird Corporation (NASDAQ: BLBD). From July 2015 to February 2017, Mr. Burns served as a director of Hennessy II, which merged with Daseke in February 2017 and is now known as Daseke, Inc. (NASDAQ: DSKE). From June 2017 to October 2018, Mr. Burns served as a director of Hennessy III which merged with NRC Group Holdings Inc. (NYSE: NRCG). He also serves as a Senior Advisor to McKinsey & Company, consulting with telecom service providers, suppliers, and private equity investors, and has done so since April 2008. Mr. Burns also serves on the board of GeorgiasOwn Credit Union, a consumer retail financial services firm, since 2002. He served on the board of Unison Site Management, a cell site management firm, from March 2010 to June 2016. Mr. Burns has over 35 years of combined executive experience in telecommunications, including landline, broadband and wireless networks. He served as an officer of BellSouth from 2002 to 2006, holding a number of positions including Chief Integration Officer for Broadband Transformation, President of Bellsouth Broadband and Internet Services, and Chief Supply Chain Officer. He also served as an officer of AT&T from December 2006 to March 2008, as President of AT&T’s Wireless Network. Through his experience, Mr. Burns has developed expertise in operations, mergers, financial management, and private equity investment. Through his executive experience and board service Mr. Burns has acquired both experience and training in corporate governance, executive compensation, and finance. Mr. Burns received both his Bachelor and Master’s Degrees in Engineering from the University of Louisville, and an MBA from Vanderbilt University with Honors. Mr. Burns is well qualified to serve as a director due to his executive experience in large public companies, as well as his board experience in privately held firms and Hennessy I, Hennessy II and Hennessy III. 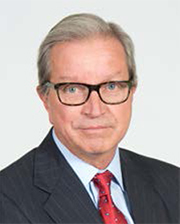 Bradley Bell is an independent director of Hennessy Capital Acquisition Corp. IV, and serves as the chairman of our audit committee. From January 2014 to February 2015, Mr. Bell served as a director and chairman of the Audit Committee of Hennessy I, which merged with School Bus Holdings Inc. in February 2015 and is now known as Blue Bird Corporation (NASDAQ: BLBD). From July 2015 to February 2017, Mr. Bell served as a director and chairman of the Audit Committee of Hennessy II, which merged with Daseke in February 2017 and is now known as Daseke, Inc. (NASDAQ: DSKE). From June 2017 to October 2018, Mr. Bell served as a director and chairman of the audit committee of Hennessy III which is now known as NRC Group Holdings Inc. (NYSE: NRCG). Since October 2014, Mr. Bell has served as a director of MPM Holdings, Inc., a global manufacturer of silicones and quartz products, where he has been Non-Executive Chair since December 2014. Since July 2015, Mr. Bell has served as a director and Chairman of the Audit Committee of The Chemours Company LLC (NYSE: CC), a chemical solutions company. From 2001 through 2015, he served as a director of IDEX Corporation (NYSE: IEX), a global industrial company with key growth platforms in Fluid Metering Technology and Health & Science Technology segments, where he chaired the Nominating and Corporate Governance Committee and Audit Committee and served on the Compensation Committee. From December 2003 through July 2015, he served as a director of Compass Minerals Corporation (NYSE: CMP), an international mining company with operations in salt and specialty nutrients, where he chaired the Compensation Committee and Audit Committee and served on the Nominating and Corporate Governance Committee. From 2009 to 2015, he served as a director and Chairman of the Audit Committee of Coskata Company, a pre-revenue biomass startup with proprietary technology for the production of fuels and chemicals utilizing anaerobic microorganisms. From 2011 to 2014, Mr. Bell served as a director and chairman of the Audit Committee of Virent Corporation, a pre-revenue biochemical company with proprietary technology for producing plastics and other products from plant sugars. From November 2003 to December 2010, Mr. Bell served as Executive Vice President of Nalco Corporation, an industrial water treatment and energy services company. Mr. Bell has over 30 years combined experience as an executive in the technology and manufacturing industries, including positions at Rohm and Haas Company, Whirlpool Corporation and Bundy Corporation. Through his experience, Mr. Bell has developed financial expertise and experience in mergers and acquisitions, private equity and capital markets transactions. He has held directorships at publicly traded companies for over 25 years, during which he chaired governance, audit and compensation committees. Through his executive experience and board memberships, Mr. Bell has acquired training and experience in corporate governance and executive compensation. Mr. Bell received a B.S. in finance with high honors from the University of Illinois and a master of business administration degree with distinction from Harvard University. Mr. Bell is well qualified to serve as director due to his experience in public and private company governance and accounting, including his service on audit, nominating and corporate governance and compensation committees, including his experience with Hennessy I, Hennessy II and Hennessy III.